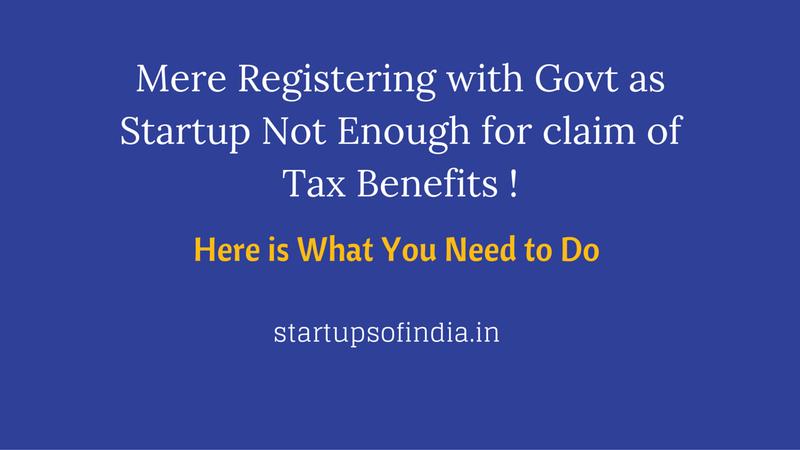 Startup Registration is Not Enough for Claim of Tax Benefits ! Here is What You Need to Do . o) Representative of Deparlment of Biotechnology. What Needs to be Done for Tax Benefits ? 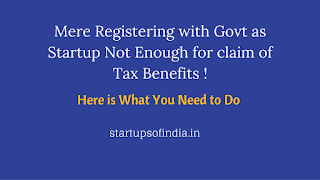 For this , when you are registering the startup , answer Yes when the question “Do you want to avail Tax and IPR benefits” , state yes. If you do that , your application would be evaluated by the Inter-Ministerial Board. Once certified by the Board, the benefits may be availed.